Steelseries 5H v2 USB is an optimized version of the original SteelSound 5H USB headset. 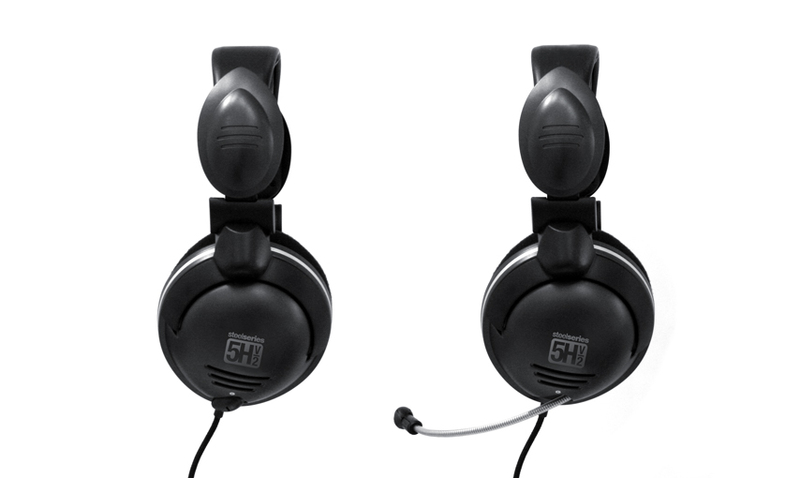 The new headset features improved microphone quality, a longer microphone cord, bigger (and more comfortable) ear cushions, additional frame pressure and numerous other technical design improvements. Don't be confused by the 3.5mm version, these are the real deal USB version. If you love the realistic sound that new games are capable of providing, or if you enjoy listening to your favorite music or DVD on your PC, then the 5H USB Gaming Headset from Steelseries is for you. The 5H USB Headphones produce a clean, ultra realistic sound that you would expect from a company with a reputation in the gaming community like Steelseries. In today's modern games, it is as important to be able to hear your enemy as it is to be able to see him, and these headphones deliver. The Steelseries 5H USB Gaming Headset has been designed from the ground up with a gaming optimized USB soundcard. From enemy footsteps, to bullets whizzing by your head, you'll experience everything on a whole new level with this headset. With the trick slide out microphone, you can taunt your enemies whilst “headshotting” them. So transform your gaming audio experience with the new 5H v2 USB Gaming Headset from Steelseries.